I'm riding my track racing bike after not using it for a few years. I've lost my nerve. I'm afraid my 22mm tires (Continental Sprinter) will slip, even though I know they won't. I'm just nervous, especially when I see a groove in the road. Does anyone have suggestion for rebuilding the confidence? I weigh 170 lbs, and I'm pumping them to 100 psi. 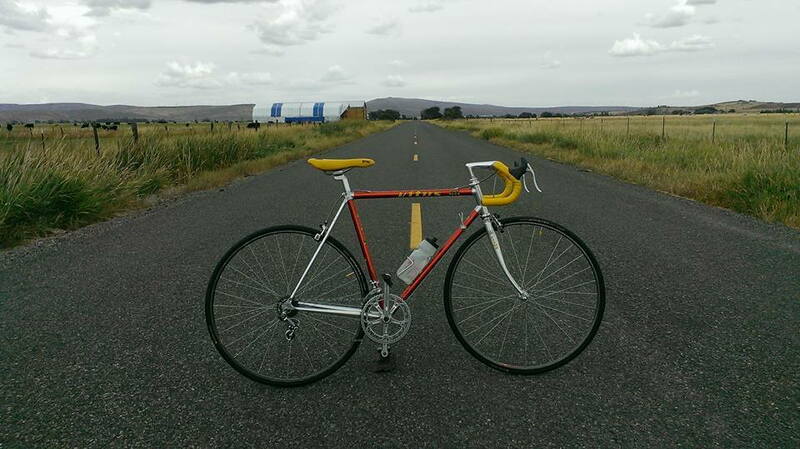 @noglider, I ride Continental Giros, 700X21, on my Medici, it handles fine, corners well (without any wash out), and takes our rough roads pretty well. Never had a tub roll off on me, ever, knock on wood (tapping head. )I was looking to swap the rims for clinchers, as my re-entry to C&V/BF post said, but after riding it the last two weeks I am sticking with the tubs for now. Tomorrow sees the re-entry of my Tommasini with tubs into the rotation. yes, I would agree with any urban rider (especially in 'infrastructure challenged' places) who felt that 23mm and narrower made their riding more hazardous. Bunny hopping, small lateral jumps etc are good skills. But cracks, covers, pavement upheavals are easier on fatties. Well, it's a tubular Pave'. I have 5 unused ones left in my stash. I do have open Pave's on my clincher wheels though (ordered "open" by mistake) - almost as nice of a ride. Very well executed - I suggest closing your valve though, so the stem doesn't break off. My space out. Tubulars aren't "open". Duh! The "Pave" was what I was after. For tires that climb out of grooves, get ribbed tread. (Narrow lengthwise grooves; very common on mid-priced cotton training tubulars 40 years ago.) Vittoria is now doing it on their G+ and G 2.0 tires. I love ribbed thread. Mourned it going away many times. Thank you Vittoria for bring it back. It is the all-around tread that is fast, decent grip, no surprises and will get you out of that grove or rut or back on the pavement. A ribbed tread story. 43 years ago, my first "real' race, 105 miles in pouring rain. 100 riders. Final miles, the pace picking up. Divided highway with a cobbled median set about an inch below the pavement. I was riding decently fast orange treaded tires, ribbed. Fast, ribbed, but the orange tread was famous for being slippery in the wet. I was on the left edge of the peloton so I could move up. Someone moved toward me and I moved left. Oops! I rode onto the median cobbles. Now I had to get myself back onto the pavement. Steeled my nerves, did as hard a turn into the pavement as I dared riding those smooth wet cobbles. Bike just climbed back up, no big deal. Eventually my heart rate returned to sustainable. Interesting range of answers on carrying pre-glued tubular. I'm not overly concerned and have used both pre-glued and non prep. Though if the weather calls for precipitation, I prefer carrying a pre-glued. All things considered, tubulars are not for everyone but without a doubt and for day duty rides on vintage lightweights, I still prefer them over clincher. Shaking down this Spring a fine Tange Prestige frame, another having R-531c, and yet one with Columbus SL / Falck tubed.... those all on clinchers / new Veloflex Masters and Vittoria Corsa G in mid 20s widths, none of them are as enjoyable as the rest of the fleet and those on tubulars. What I'm saying, each day I pick one bike and tick off 20 miles or so. The ones with tubulars really set nicely in what I expect out of the ride and bike. Those hyped clinchers (call them open tubular whatever) still don't deliver. I'm not afraid my tires will come off the rims. I'm just afraid, at an irrational level, that they'll lose grip with the ground. It wasn't a problem in 2014, but since then, I gave up 25mm tires and rode 28mm tires a little and 32mm tires a lot. So going back down to 22mm -- as measured with a caliper -- feels scary. It's funny, because I rode tires like this for ages. Maybe the fear will go away in just a few rides. If there isn’t much tacky residue on the rim, you should preglue (or carry a bit of tape). 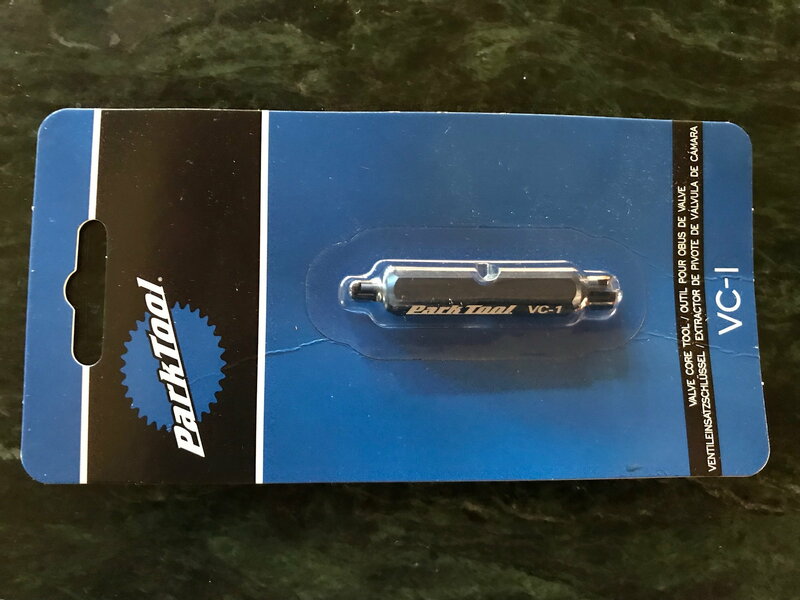 Not because you can’t ride safely but I get tire CREEP, that is where the tire moves on the rim enough to dramatically tilt the valve stem - not a desirable thing, especially for a long ride home or on a new spare. Why not carry a bit of tape to prevent creep? If you glue with a mastik or non-hardenening adhesive, maybe the spare tire holds in place well. Last edited by Wildwood; 04-11-19 at 09:27 PM. 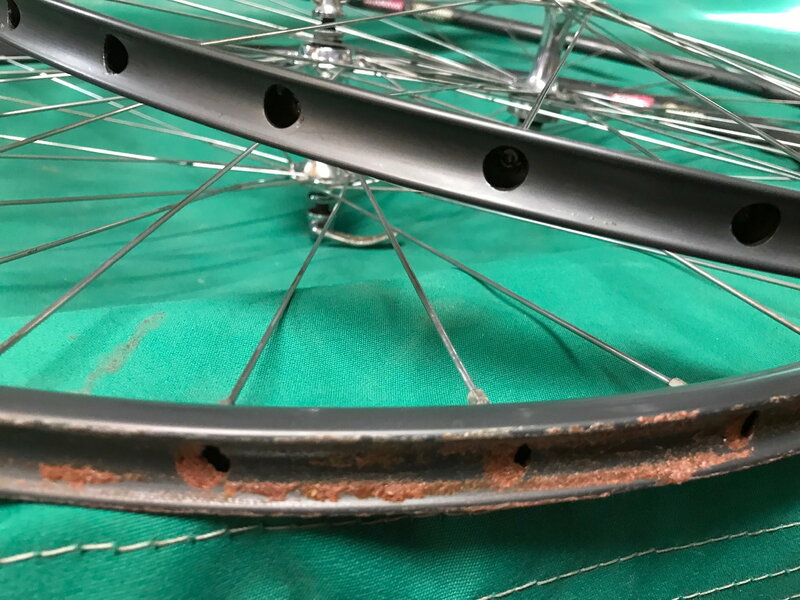 as noted previously the glue and install was really no problem used challenge glue on a clean rim (yes the brass wheel trick works, but there was not much glue on in any case), used by finger in a glove to spread on the rim and used an acid brush to glue the tires. the corsas are great tires, very smooth, but the challenge felt even smoother. I rode 15 miles in the city today. It was treacherous on my back. (I wore a backpack.) A track bike is not made for comfort, and at least a few people have characterized Continental Sprinter tires as riding like rocks. I'm also not used to narrow tires now. I'm not buying new tires any time soon. But the bike is still fun, and I love the handling. I forgot you lived here. Hey, at least I have a front brake, cuz I'm not stoopid. Fixed gear is fading out of style, but I rode for a block or two with a courier on a fixie today. Nowadays, couriers here can scarcely afford NOT to ride e-bikes. Long time lurker, first time C & Ver, but that's a beautiful bike, if you wanted to make it more ridable have you considered riser bars? Most trendy urban bike shops should be able to help you out, or at least fitting a more compact handlebar with dummy hoods should give you a better perch. Have a surf at some of the images on the Fixed gear and singe speed forum, there should be some nice bikes with risers on there for inspiration. That bike looks awesome in a pure track kind of way, but the bikes are built to be stable at speed, the handling can be jack for street riding which may be why it feels scary. I couriered for 6 years, 2 on a street fixed and have raced track since I was a tacker and I don't really like riding the track bike on the street that much. I always feel like with C & V folk I might just be telling people stuff they already have considered, but it'd be a shame to stop riding a bike like that when it could be a lot more fun. Looking forward to hearing more updates. Good affordable tubulars are not easy to come across. Currently I have mounted a set of conti sprinters that I love, a set of Challenge Paris-Roubaix (no real miles yet) a set of Spech Espoir (very nice ride but had a flat the first 100 KM) and a set of old Michelins that seem ok. All of these are on very different bikes so it is hard to compare the ride quality. Were you riding them at 130 psi? What Bonty tires were they? My go to is the AW3 for this time of year and for touring. (I find them a bit rough as well) I need a set for another bike I am building and I am thinking hard about these, especially with the tan walls. I've been riding Veloflex Criteriums 23mm. Haven't ordered any for a year or so. FWIW, when I get mastic on my fingers, water does not prevent them from sticking to things! Not a bad idea. I've been keeping it race ready, which I guess is silly. Even the brake lever is attached with a wing nut for quick removal. I have a "street fixie" but maybe I should see about making this Raleigh comfy. Not sure if it's really possible. @daviddavieboy, you don't find the Sprinters to ride harshly? Perhaps my problem is either 1. I'm not used to narrow tires any more, or 2. my bike is the harsh thing. It could be both, primarily number 2. @daviddavieboy, you don't find the Sprinters to ride harshly?. I don't have much to compare them to to be honest as they are my "race" tires on a 2000 Pinarello Opera w/carbon fork and rear seat stays. They are the 25mm wide version on Hed Stingers 60mm deep and a 28mm across the brake track and I keep them aired to 130PSI. They are definitely harsh compared some of my other tubulars (except for a set of tufo s33 i had) but better than some clinchers I have had. 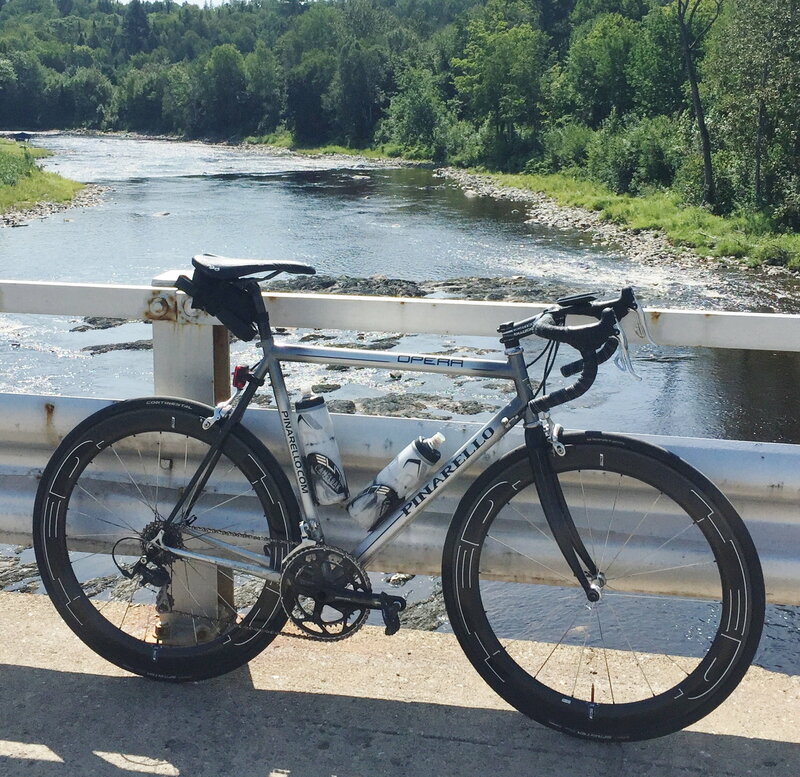 The last use on them was a 165km fondo last fall and I thought they were great but I was on good roads. My reason for the love is that I can keep up in the fast group rides and the milage I get out of them (second set) is amazing being a heavy guy. There is a gator version as well and I can imagine that is even harsher. OK, that situation is different enough from mine that is not a comparison. Thank you, though! I guess I could try another wheel set in my track bike for comparison. I am not about to change the tires on my tubular wheels, because (1) too much trouble, (2) too much expense, (3) it's not that important. I can try the wheels from my street fixie which are 25mm clinchers, and I could even try 28mm clinchers as an experiment. I've ridden Sprinters and Sprinter Gatorskins for the past 6-7 yrs or so and really like the ride and durability. My dad only road Sprinters back in the 90's for probably 10 yrs and swore by them. Other than cheap Yellow Jersey and a couple of Continental Giro I have nothing to really compare them too. I normally ride at 120 psi on the 22mm tires and find myself looking down after a bump to make sure there wasn't a flat developing because I didn't feel the bump like I do with my clinchers. I ride mostly chip seal pavement around here. Last edited by scozim; 04-14-19 at 08:42 PM. I like new to me rims to be clean before I mount tires. One before and one after processing: Scrape off most of the old red crusty stuff with a small screwdriver and then paint on Citristrip. Wait a few minutes, wipe off with paper towel. Repeat. Works well. Always amazed. Replaced my lost valve remover which makes adding Stan's a piece of cake.